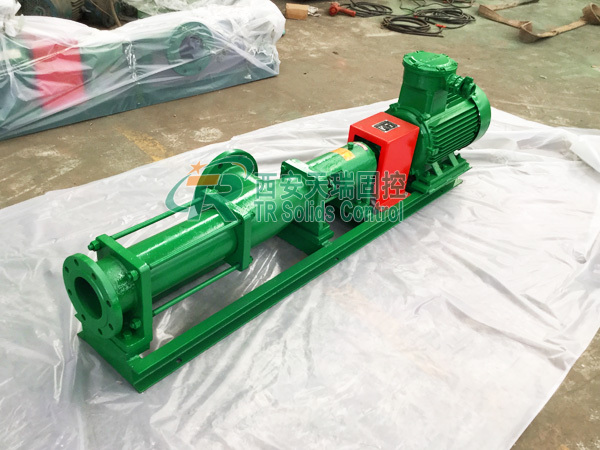 Screw pump is an ideal pump for feeding drilling fluids to decanter centrifuge. Different from other sewage pump or trash pump, it could transfer mud to centrifuge without shearing and stirring drilling fluids. Besides that, it is used to transport drilling waste management and drilling cuttings of wet mud. The main parts of screw pump are screw shaft and screw shaft bushing. TRG series screw pump adopts high-performance motor with good-quality material. It has long life, strong mud-processing capability. Also it is chosen by many clients from drilling waste management industry. 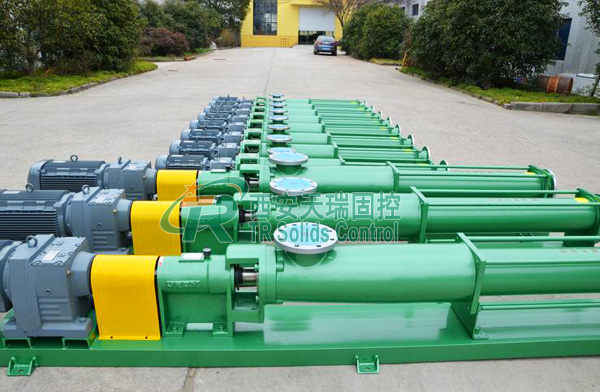 As a professional manufacturer of screw pump, TR Solids Control is well-known among clients in oil & gas drilling industry and drilling waste management. Furthermore, our hot-selling product like shale shaker, mud cleaner, mud agitator, centrifugal pump, shear pump, decanter centrifuge, jet mud mixer, mud gas separator, flare ignition device, vacuum degasser are popular. Start to contact with us now!